Technology is changing around us at a blistering pace. We are entering an era in which human bodies merge with devices, corporations know everything about us, and artificial intelligence develops human and even godlike potential. “The future is coming so fast now that we can only imagine what it will bring,” Estes writes. “What happens when technology advances at such a speed that the average person can no longer keep up?” In Braving the Future, Estes samples eight key technologies that will shape our future: virtual reality, autonomous machines, gene editing, artificial intelligence, brain-computer interfaces, intelligent robots, nanotechnology, and cybernetics. Drawing on Scripture, Christian tradition, and a deep appreciation for science, Estes offers believers a grounded response to these rapid changes. He also responds to transhumanism, the new philosophy emerging from Silicon Valley that promotes radical life extension through tech. 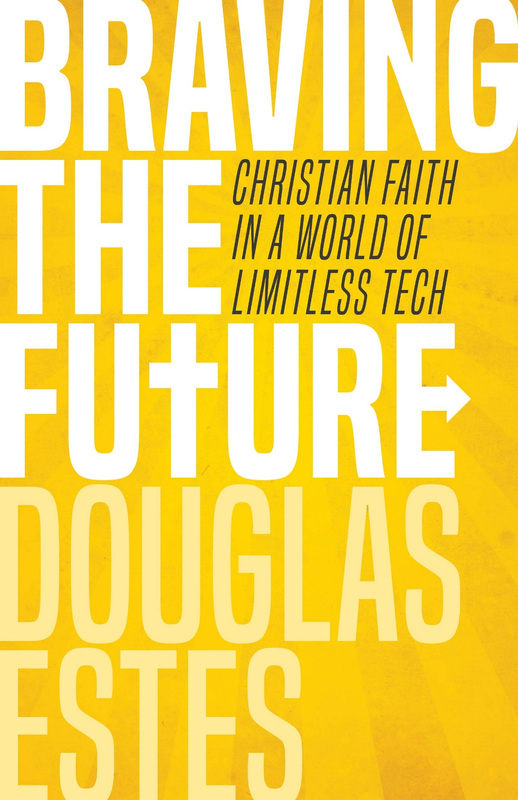 With thoughtful questions and suggestions, Estes helps readers choose trust in God over fearful retreat and following Jesus over uncritical engagement with technology. The future may not look exactly like a science fiction movie, but are we ready to brave a future of limitless tech and boundless change? Douglas Estes is associate professor of New Testament and practical theology at South University-Columbia. He's the author or editor of eight books, and is the editor of Didaktikos. He contributes to publications such as Christianity Today and Bible Study Magazine. Douglas is a fellow in the Center for Pastor Theologians. A group of international scholars go in detail to explain how the author of the Gospel of John uses a variety of narrative strategies to best tell his story. More than a commentary, this book offers a glimpse at the way an ancient author created and used narrative features such as genre, character, style, persuasion, and even time and space to shape a dramatic story of the life of Jesus. This book introduces the various ways the study of literature has been used in biblical studies. Most literary approaches emphasize the study of the text alone—its structure, its message, and its use of literary devices—rather than its social or historical background. The methods described in this volume are focused on different ways of analyzing the text within its literary context. Douglas Estes crafts a theory of question-asking based on insights from ancient rhetoric and modern linguistics in order to investigate the logical and rhetorical purposes of Jesus' questions in the Fourth Gospel. Explore the vision, the concerns, the challenges, and the remarkable possibilities of building Christ’s kingdom online. What is the virtual church, and what different forms might it take? Will it be an extension of a real-world church, or a separate entity? How will it encourage families to worship together? Is it even possible or healthy to “be” the church in the virtual world? Spiritual but broken, theological but flawed--these are the words critics use to describe the Gospel of John. Compared to the Synoptics, John's version of the life of Jesus seems scrambled, especially in the area of time and chronology. But what if John's textual and temporal flaws have more to do with our implicit assumptions about time than a text that is truly flawed? Questions and Rhetoric in the Greek New Testament offers vibrant examples of all the major categories of questions to aid the reader in grasping how questions work in the Greek New Testament. Special emphasis is given to the way questions persuade and influence readers of the Greek New Testament.